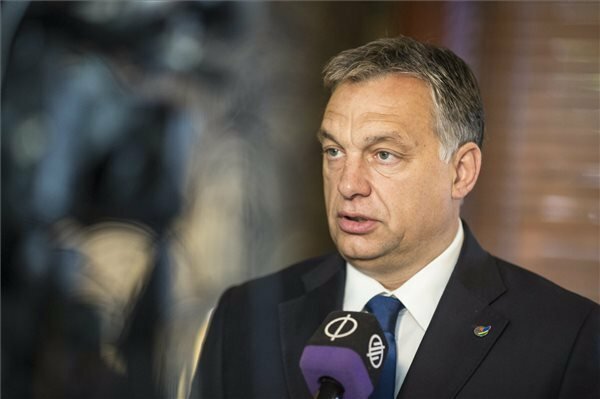 Budapest (MTI) – If the European Union has more accomplishments than disagreements within the bloc then it has a future, Prime Minister Viktor Orban said in an interview to the Thursday edition of daily Magyar Idok. If, however, the community is unable to move past its disputes, the EU will require a rethink, the prime minister said. The core of the EU is the Eurozone and this is the area that needs to achieve more success, Orban said. He said the Eurozone countries had for years been moving towards deeper integration, but this process has now come to a halt. “Europe is searching for its place in a changing world,” he said. In a time of crisis, the only types of leaders who can help are the bold and confident ones who are able to give clear solutions to problems and are able to carry out these solutions, he said. Orban said Europe has been drifting from crisis to crisis since 2008 and has yet to come to the realisation that “the routine running of its institutions” is no longer enough to solve problems because “our environment” has changed completely. Orban said the decision to admit migrants into the EU was a mistake “that can hardly be corrected now”. As regards the rejection of the EU’s migrant quota scheme he said it is a matter of principle whether or not Hungarians could be told by an external party that they “must live with people whom they do not want to live with”. 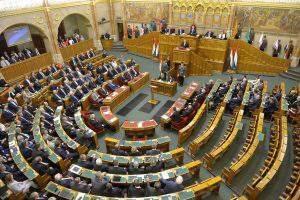 He said Hungary’s challenging of the scheme is meant to defend national sovereignty. If Hungary’s parliament decides to take in refugees then they will be accepted, but otherwise “there is no way we will allow a quota system to be forced onto us from Brussels,” Orban added. 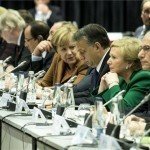 As regards German Chancellor Angela Merkel, Orban said she is a “strong leader” with a strong character and “as anyone, we Hungarians have good reason to respect and trust her.” Orban said what the chancellor lacks is “room for manoeuvre” as she is forced to govern in a coalition. “The way I see it is that the German and European left are forcing the migration policy onto the German chancellor which she now has to represent,” Orban said, noting that although the German and Hungarian governments “strongly disagree” on the migrant issue, they are able to uphold their alliance because politicians on both sides are keen on maintaining good relations. The prime minister said the political participation of migrants would eventually upset Europe’s “traditional political balance” of left-right politics. The key question is how European politicians, and particularly the politicians of the European People’s Party will respond to this upset, Orban said. He said tying the question of migration together with the question of EU funds would be a matter of “revenge, blackmail, which no one has the right to do” as the EU’s budget had been agreed upon earlier. He said when central European countries opened up their markets after forty years of communist rule, western European businesses had “huge advantages” right from the start. They secured positions in central European economies to generate profits in amounts that central European countries would never have been able to obtain in western Europe. On the subject of Hungary’s opposition parties, Orban said that when the left was in power, it demonstrated “what a government that is corrupt to the core is like,” adding that any accusations of corruption coming from the left “by default lack credibility and are ridiculous”. 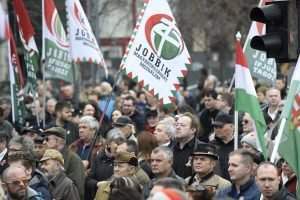 Regarding the government’s “opposition on the right”, Orban said the government’s duty is to reveal the “criminal background that has always characterised” radicals in Hungarian politics. The prime minister said everyone in Hungary who is willing to work is now better off than they were in 2010.